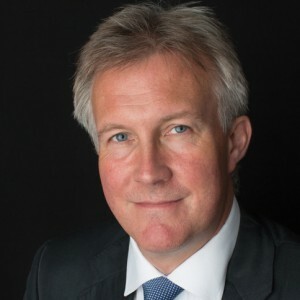 In January 2013, Stuart was appointed CEO of the Satellite Applications Catapult, one of seven independent research and development centres established by the Technology Strategy Board to stimulate growth in the UK economy by accelerating the development and take up of emerging technologies. His leadership of the Satellite Applications Catapult, places the commercial exploitation of space right at the heart of the UK growth agenda, and the ambition established by the Space Innovation and Growth Strategy of 2010 to create 100,000 new jobs in the sector by 2030. Prior to this recent appointment, Stuart was a partner at Logica (now CGI), a large European business technology company. There he was responsible for the worldwide space business, turning over more than £50M annually and employing over 300 staff, a position he had held since 2006. During his time at Logica, which he joined in 1989, Stuart performed a range of engineering and management functions, mainly in the fields of satellite navigation and meteorological processing, before moving onto more strategic business roles in 2003. More recently, Stuart held the position of Vice Chair of UKSpace, the UK trade association for space business, he was a member of the council of Eurospace (the European equivalent), and was three-time chair of UK judges for the annual European Satellite Navigation Competition, also known as the Galileo Masters. He was also responsible for establishing Logica as a founder member of ISIC, the International Space Innovation Centre which is now part of the Satellite Applications Catapult, and for Logica joining Galileo Services, the industry association focussed on promoting investment and collaborative innovation in the satellite navigation sector. Stuart holds a BSc in Physics (first class) from Imperial College and, in 2013, was elected a Fellow of the Royal Aeronautical Society, and the Institute of Physics.